Very hardy, frost tolerant deciduous tree with a spreading habit. One of the finest ornamental trees in cultivation. Branches are ridged with a distinctive corky bark. 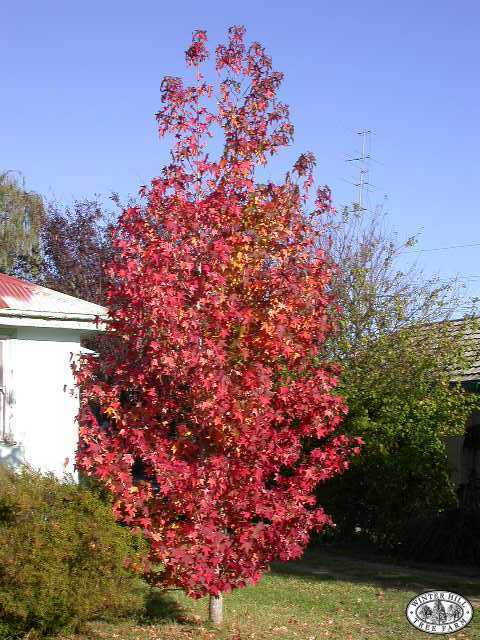 Maple-like foliage has gorgeous tints of red, yellow and purple in autumn. Will flourish under very warm conditions in full sun, provided that some moisture is available in summer. Great shade tree. Grows approximately 1 metre per year.